Amazon is currently the second biggest company in the world when it comes to market capitalization. The company is currently worth $763.27 billion (NASDAQ:AMZN) while Alphabet (NASDAQ:GOOG) is “only” worth $762.98 billion. Amazon has had an incredible quarter. Stock is up nearly 29 percent since early January. As for Alphabet, its shares have gone up and down. And if you look at today alone, Amazon is up 2 percent, while Alphabet is flat. 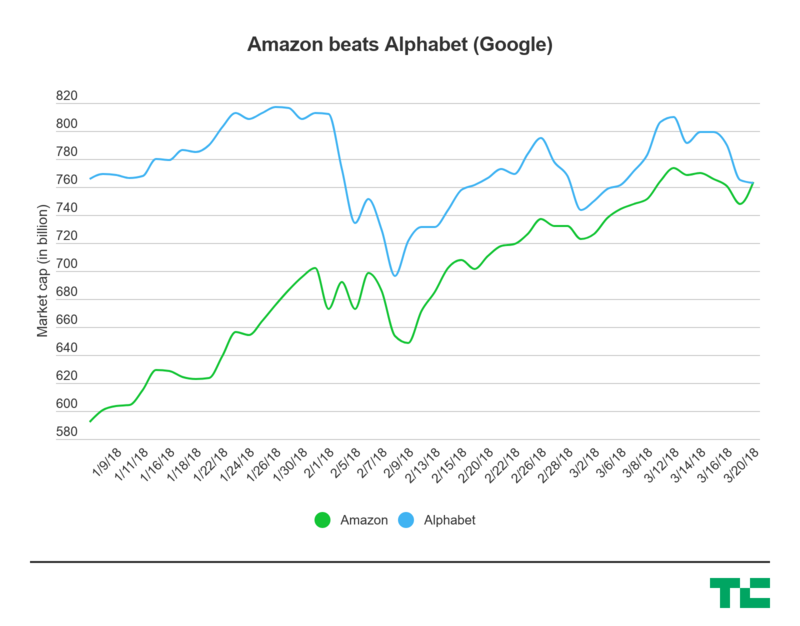 Alphabet can still pass Amazon again before the stock market closes. But it sounds like the writing is on the wall. The only company that is currently more valuable than Amazon is Apple. There’s still quite a long way to reach Apple as Apple’s market capitalization is… $892 billion.